Driveway installation is a big investment and a major undertaking. While it may be tempting for do it yourselfers to attempt the job themselves, this is usually not a good idea. The project is large in scale and often fraught with pitfalls. Leave such an installation to the pros, investing your valuable time and energy, instead, in starting a new garden or starting a new lawn. While gravel driveways are relatively straightforward, you still need access to the heavy equipment needed to work with all that gravel. The decision is even more clear-cut with concrete driveways, for example. 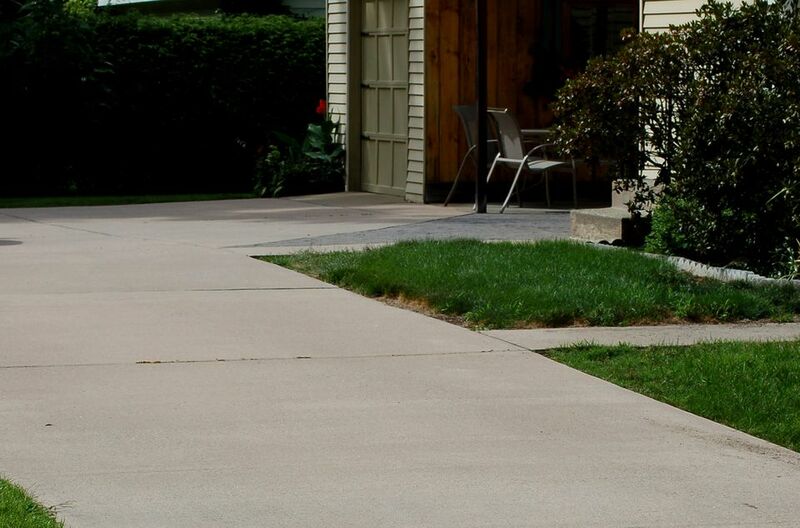 Concrete is tricky to work with even on a much smaller scale, as when you are pouring a concrete patio. But just because someone else will be doing the job, that does not mean that you have no work to do to make sure that everything goes smoothly. In its own way, properly going about hiring a driveway contractor is as much work as installing a driveway. Do its workers have a good work ethic? How closely did the driveway contractor follow the contract? What was the total cost for the job? Were you ultimately satisfied with the work of the driveway contractor? But the initial phone call to the reference is just the beginning. Try to obtain permission to visit the site in question. If granted, inquire as to the date when the driveway was installed. See if it shows signs of any problems, and ask the homeowners if they're aware of any problems. Keep accurate notes, as you'll want to visit the sites of references provided by other driveway contractors and make comparisons. Based on those comparisons, choose the top companies and ask them further questions to get a feel for their level of professionalism. Installing driveways properly often stands or falls based on whether the driveway contractor provides adequate drainage through site grading, etc., so this is always a good line of questioning. You should also check at this point for written proof that the company has liability insurance. Pay no attention to the attitude that says, "Well, of course we have insurance!" Their incredulity towards your skepticism is no reason for you not to continue to be skeptical and ask the right questions. After all, if something goes wrong, you are the one holding the bag. Finally, gain a sense of whether or not this is someone you will want to do business with: Never underestimate the personal element. If some of the driveway contractors come across as gruff and inattentive during the interviews (when you would expect them to be on their best behavior), imagine how tough they would be to deal with once they have your money. You want to hire someone who is sensitive to your needs, someone who will be easy to communicate with on the job site should unforeseen difficulties arise. Based on the results of your interviews, narrow the list down further to those companies who left you confident about their abilities to handle the job. You are now ready to have the driveway contractors on that "short list" make bids for the job. What are the responsibilities of the driveway contractor, exactly? Who is responsible for bringing in other professionals (for example, electricians) for peripheral work?